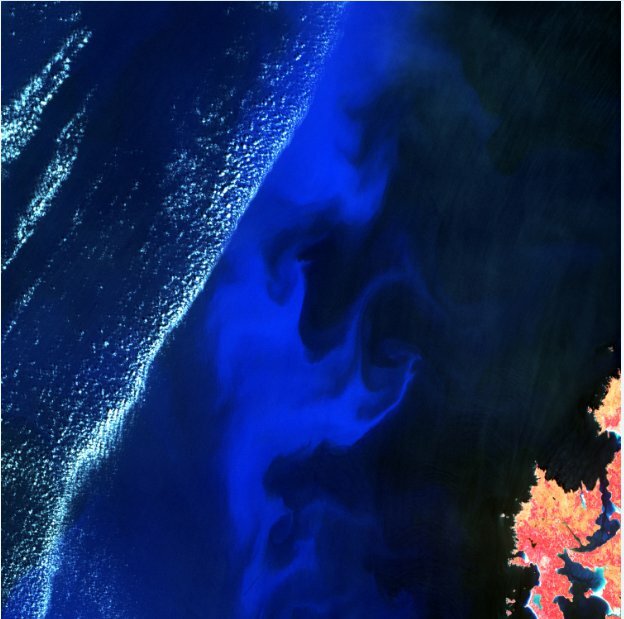 What is the reason for blooms of phytoplankton? There are two major blooms of phytoplankton during the year, the first of these usually occurs between the months of March and May, and the second is usually between August and October. Most of the time the highest bloom is the spring bloom so between March and May.What causes these blooms of phytoplankton is the supply of light and nutrients. The reason the blooms occur in the spring is due to the sun warming the water, this creates a layer of warm water on the surface with cold water deeper down. There is hardly any mixing between these two layers. The phytoplankton then grow close to the surface in the warm water therefore exposing them to plenty of light and nutrients. During the Autumn bloom between August and October the water temperature decreases. But a bloom is still present because as the water cools the density of the warm waters increase meaning a smaller difference in density between the surface and the depths. This allows some deep waters that are rich with nutrients to mix with the surface therefore providing nutrients for the phytoplankton to flourish, but equally important is the fact that there is still enough light for the phytoplankton to photosynthesis.